Allison A. Rissell, Brian K. Miller, Lisa K. Lloyd, James S. Williams. Background: Bikram yoga is sometimes referred to as hot yoga and a typical class is 90-minutes in duration, consists of 26 Hatha yoga postures and 2 breathing exercises, and is performed in a room heated to 41°C (105° F) with 40% humidity. This study examined the effects of Bikram yoga on two aspects of psychological well-being: core self-evaluation (CSE) and life satisfaction. Core self-evaluation is sometimes referred to as positive self-concept and is comprised of aspects of self-esteem, self-efficacy, locus of control, and emotional stability. Life satisfaction is a holistic appraisal of one’s life in which a comparison is made of one’s current circumstances to what is thought to be an appropriate internally determined personal standard. Methods: Twenty-two subjects completed a 60-day Bikram yoga challenge. Self-report survey responses were gathered before and immediately after the challenge. A within-subjects one group pretest-posttest experimental design was used. Results: Bonferroni-adjusted t-tests for change over time in CSE and life satisfaction were both statistically significant. Cohen’s d statistic as a measure of effect size was .53 for core-self-evaluation and .40 for life satisfaction. Conclusions: Life satisfaction and CSE each improved over the course of the intervention. It is likely that the well-known effects of participating in intense physical exercise also contributed to improvements in psychological well-being. 2. Joshi LN, Joshi VD, & Gokhale LV. Effect of short term 'pranayam' practice on breathing rate and ventilatory functions of lung. Indian J of Physi and Pharma. 1992; 36(2): 105-108. 3. Makwana K, Khirwadkar N, & Gupta HC. Effect of short term yoga practice on ventilatory function tests. Indian J of Physi and Pharma.1987; 32(3): 202-208. 4. Telles S, Nagarathna R, Nagendra HR, & Desiraju T. Physiological changes in sports teachers following 3 months of training in yoga. Indian J of Med Scie. 1993;47(10): 235-238. 5. Clay CC, Lloyd LK, Walker JL, Sharp KR., & Pankey RB. The metabolic cost of Hatha yoga. J of Strength and Conditioning Res. 2005; 19(3), 604-610. 6. DiCarlo LJ, Sparling PB, Hinson BT, Snow TK, & Rosskopf LB. Cardiovascular, metabolic, and perceptual responses to Hatha yoga standing poses. Med, Scie and Health. 1995; 4, 107-112. 7. Prasad KVV, Ramana YV, Raju PS, Reddy MV, & MurthyKDR. Energy cost and physiological efficiency in male yoga practitioners. J of Exercise Physiology. 2001; 4(3), 38-44. 8. Bowman AJ, Clayton RH, Murray A, Reed JW, Subhan MMF, & Ford GA. Effects of aerobic exercise training and yoga on the baroreflex in healthy elderly persons. European Journal of Clinical Investigation. 1997; 27, 443-449. 11. Raju PS, Anil Kumar K, Reddy SS, Madhavi S, Gnanakumari K, Bhaskaracharyulu C, et al. Effect of yoga on exercise tolerance in normal healthy volunteers. Indian J of Physiology and Pharmacolog. 1985; 30: 121-132. 12. Raju PS, Madhavi S, Prasad KVV, Reddy MV, Reddy ME, Sahay BK, et al.Comparison of effects of yoga and physical exercise in athletes. Indian J of Med Research. 1994; 100: 81-87. 13. Selvamurthy W, Nayar HS, Joseph NT, & Joseph S. Physiological effects of yogic practice. NIMHANS J. 1983; 1(1): 71-80. 14. Murugesan R, Govindarajulu N, & Bera TK. Effect of selected yogic practices on the management of hypertension. Indian J of Physiology and Pharmacology. 2000; 44(2): 207-210. 15. Ray US, Mukhopadhyaya, S, Purkayastha SS, Asnani, V, Tomer OS, Prashad R, et al. Effect of yogic exercises on physical and mental health of young fellowship course trainees. Indian J of Physiology and Pharmacology. 2001;45(1): 37-53. 16. Choudhury B. Bikram Yoga: The guru behind hot yoga shows the way to radiant health and personal fulfillment. New York: Harper Collins Publishers; 2007. 20. Staw BM, Ross J. Stability in the midst of change: A dispositional approach to job attitudes. Journal of Applied Psychology. 1985 70(3), 469-480. 21. Judge TA, Locke EA, Durham, CC. The dispositional causes of job satisfaction: A core evaluations approach. Research in Org Beh. 1997; 19: 151-188. 24. McAuley E, Blissmer B. Self-efficacy determinants and consequences of physical activity. Exercise and Sport Science Reviews. 2000; 28(2): 85-88. 28. Elavsky S, McAuley E, Motl RW, Konopack JF, Marquez DX, Hu L, et al. Physical activity enhances long-term quality of life in older adults: Efficacy, esteem, and other affective influences. Annals of Behavioral Medicine. 2005; 30(2):, 138-145. 31. Brickman P, Campbell DT. Hedonic relativism and planning the good society. In M. H. Appley (Ed. ), Adaptation level theory: A symposium New York: Academic Press; 1971. P. 287-303. 38. American College of Sports Medicine. Guidelines for Exercise Testing and Prescription (8th ed.). Philadelphia: Lippincott, Williams and Wilkins; 2010. 39. Campbell DT, Stanley JC. Experimental and quasi-experimental designs for research. Boston: Houghton Mifflin; 1963. 40. Choudhury B. Bikram's beginning yoga class (2nd ed.). New York: Penguin Putnam Inc; 2000. 42. Sonstroem RJ, Harlow LL, Josephs L. Exercise and self-esteem: Validity of model expansion and exercise associations. J of Sport and Exercise Psychology. 1994; 16: 29-42. 45. Costa PT, McCrae RR. Revised NEO Personality Inventory (NEO-PI-R) and NEO Five-Factor Inventory (NEO-FFI) manual. Odessa, FL: Psychological Assessment Resources: 1992. 47. Wu, J., & LeBreton, J. M. (2011). 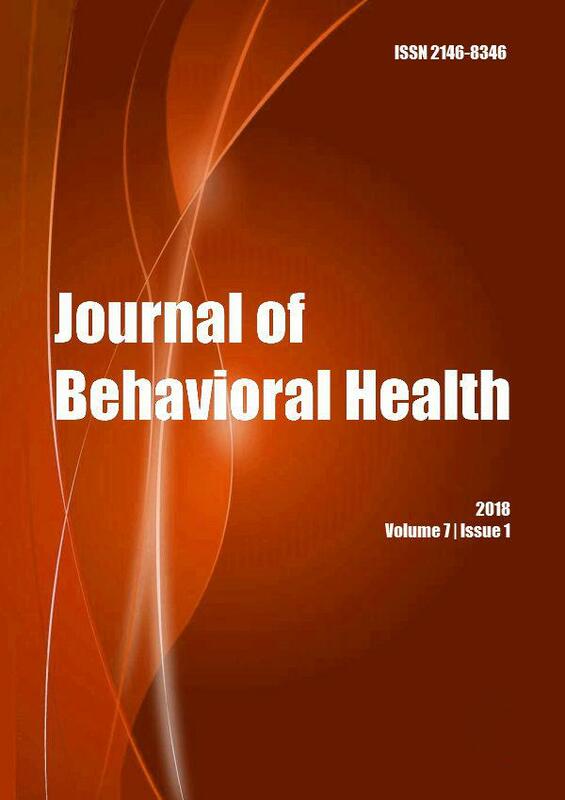 Reconsidering the dispositional basis of counterproductive work behavior: The role of aberrant personality. Personnel Psychology, 64, 593-626. Journal of Science and Medicine in Sport 2018; 21(4): 352. Journal of Mental Health 2017; 26(2): 156. Journal of Science and Medicine in Sport 2017; (): .